Eric Michael offers a diversity of shoes from comfort, quality and Eutopean workmanship as their common element. Eric Michael is a diverse collection that will leave your feet happy throughout all seasons. Eric Michael includes fashion forward shoes that range from flats to over the knee boots, as well as a multitude of stylish wedges that are hand stitched in Spain. If you are looking for great options for both work and an active social life, Eric Michael is the shoe for you! Eric Michael is one of 4 brands by Laurevan Shoes. Laurevan Shoe was founded by Paul Weitman in 1984, with a desire to bring the philosophy of comfort, quality, and fashion to the US market. The business has focused on this same philosophy for the past 26 years and continues to buy exclusively from European factories. Come into any one of our stores, located in Anaheim Hills, Rancho Cucamonga, Riverside, San Dimas, Temecula and La Quinta! 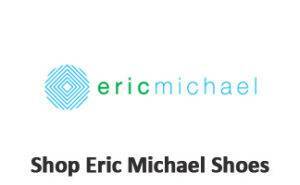 Visit us today and try on a pair of Eric Michael shoes! 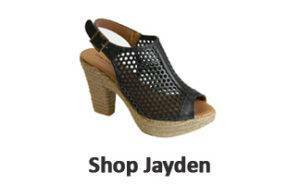 At Lucky Feet Shoes, we carry many Eric Michael shoes: wide shoes, heels, and boots; in any of our Southern California stores. If you are looking for Eric Michael footwear in Orange County, the Inland Empire, Los Angeles County, Temecula or Riverside; we have six stores to serve you! Come and visit us today! If you are looking for Eric Michael shoes in Anaheim, Anaheim Hills, Yorba Linda, Brea, Orange, Placentia, Fullerton, Irvine, Villa Park or Tustin; visit our store in Anaheim Hills. If you are looking for Eric Michael shoes in San Dimas, Glendora, Pomona, Covina, West Covina, La Verne, Azusa, Diamond Bar or Claremont; visit our store in San Dimas. If you are looking for Eric Michael shoes in Rancho Cucamonga, Ontario, Upland, Fontana, Rialto, Chino, Chino Hills, Mira Loma, Eastvale, Colton or San Bernardino; visit our store in Rancho Cucamonga. If you are looking for Eric Michael shoes in Riverside, Moreno Valley, Corona, Rubidoux, Loma Linda, Grand Terrace, Redlands or Norco; visit our store in Riverside. If you are looking for Eric Michael shoes in the Temecula Valley, Murrieta, Fallbrook, Lake Elsinore, Wildomar, Hemet, San Jacinto, Pala, Sun City, Menifee, Canyon Lake, Perris, Bonsall or Anza; visit our store in Temecula.